(Bloomberg) -- The Hermitage Capital Management co-founder who’s become an activist in the fight against money laundering says Sweden’s decision not to pursue his case against Swedbank AB because of a statute of limitations won’t stop him seeking other avenues. Bill Browder, whose criminal complaints against Danske Bank A/S were followed by investigations in multiple jurisdictions, says the Swedish decision was based on a technicality that he’s preparing to challenge. He also says he’s planning to send more criminal complaints relating to Swedbank to prosecutors across the Baltic region. In a phone interview on Monday, Browder said Sweden’s decision was based on too narrow a reading of the allegations he’s made. The development follows a lawsuit filed by the U.K.-based investor in which he alleges that Swedbank was used to launder $176 million tied to the Russian tax fraud case that his lawyer, Sergei Magnitsky, died trying to investigate. Sweden’s Economic Crime Authority said on Monday that it won’t be pursuing the case, which relates to 2006 to 2012, citing a five-year statute of limitations. “We’re not going to let this get swept under the rug on a technicality,” Browder said. Contrary to statements by Swedbank, Sweden’s Economic Crime Authority said its decision not to pursue the case didn’t exonerate the bank. It also said the move won’t interfere with other investigations. The authority is investigating Swedbank, Sweden’s oldest lender and largest mortgage finance institution, for aggravated fraud after it appeared to make misleading statements, as well as for potential breaches of insider-information disclosure rules. Separately, the bank is being probed by the financial supervisory authorities of Sweden and Estonia, while the U.S. is also investigating the case. Since 2012, European banks have paid more than $16 billion in fines tied to laundering, trade-sanction breaches and “weak controls,” with U.S. authorities behind 75 percent of those, according to Moody’s Investors Service. The figure is likely to rise, it said, citing probes into both Danske and Swedbank. According to Browder, the statute of limitations argument was raised by prosecutors because they focused on the wrong crimes. “We’re saying gross fraud, they’re saying just simple stealing,” he said. For gross fraud there’s a 10-year statute of limitations, he said. 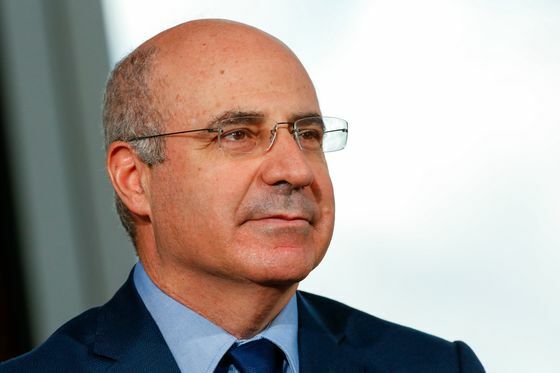 Authorities also limited their review to transactions in Sweden when it was Swedbank personnel in Sweden who “were supervising” the transactions in the Baltics, Browder said. The bank has lost roughly a third of its market value since the money laundering scandal erupted in February. Since then, Swedish media have reported that Swedbank may have been used to funnel more than $100 billion through a non-resident unit in Estonia, between 2010 and 2016. The broader allegation is that Swedbank is part of the $230 billion Danske Estonian laundering scandal. Last week, the Swedbank saga cost Chief Executive Officer Birgitte Bonnesen her job, and investors have signaled they’re not happy with the board. Shareholders aren’t the only ones suffering. The case is also taking its toll on Swedbank’s debt. S&P Global Ratings said on Monday it may consider downgrading the bank’s AA- long-term credit rating amid the spiraling laundering allegations. The case highlights the need for changes in statutes of limitations as they apply to money laundering-related crimes, Browder said. In neighboring Denmark, lawmakers have agreed to extend such limits precisely in order to give police greater scope to investigate such crimes. “The statue of limitations should only begin ticking once the crime has been discovered, because there are a lot of these crimes that take years to discover,” he said.